Chihuri vanishes into thin air…what really happened to him? 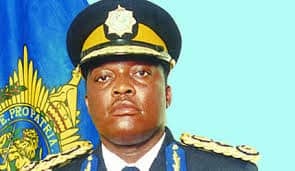 Former Zimbabwe Republic Police commissioner general Augustine Chihuri’s whereabouts are not known since he failed twice to appear before the parliamentary portfolio committee on Mines and Energy. When he appeared before the committee on Mines and Energy, his successor Godwin Matanga said they could not locate him. Chihuri has since failed to appear before the committee which is looking into the illegal deployment of police officers and their ruthless conduct in the Chiadzwa diamond fields. Also, a female police officer Sithulisiwe Mthimkhulu who has taken Chihuri to court claiming maintenance and demanding a one-off payment of US$272 242, for the upkeep of an 8-year-old child she claims was sired by the former top cop had the messenger of court at one time also reportedly failing to locate him. Mthimkhulu had threatened to publish a notice in a newspaper to alert Chihuri of the impending summons, only for the former commissioner general to send his lawyer to court to answer to the claim but still his whereabouts are not known. Chihuri was also in the news recently over theft claims made to the police by a local businessman, Bigboy Pachirera who alleges that the former top cop impounded five of his posh cars and properties while also causing his unlawful arrest and torture. At the time he was at the helm, the ZRP was perceived to be the most corrupt institution in the country. 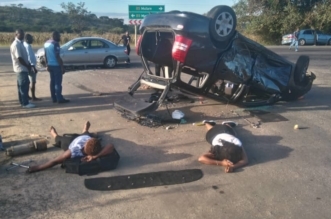 There had been public outcry over the manner in which the police officers, especially those in the traffic department were conducting their jobs with corruption allegations ranging from bribe taking, extortion and negligence in enforcing the law. Addressing senior officers during the last days of his career Chihuri admittedly said at the time that 291 police officers were discharged from the police service in 2016 and 437 in 2017 for various offences. Then 156 officers had their cases pending trial for acts of misconduct. ZRP Commissioner-General Matanga has admitted that there is rampant corruption in the organisation and pledged to address the situation. This also comes as government is said to be probing the financial irregularities at the ZRP after it emerged that some senior officers had directed unsanctioned salary deductions raising over $5 million per month. Since December last year, after 23 years in the force Chihuri was sent on leave pending his retirement, this after Emmerson Mnangagwa had been inaugurated as the president at a celebration function at which the former police boss was booed by members of the public after pledging his loyalty to the new president. Chihuru was dismissed on the day the military announced the end of Operation Restore Order and succeeded by Matanga. Crisis Coalition spokesperson Tabani Moyo said if the former police commissioner general is missing, the government is responsible. “Whether he is genuinely missing or not the government has a responsibility and accountability on every Zimbabwean. “We can’t continue with the situation where people disappear and no one is answerable. “There are two things here: either he is missing like many other people who went missing due to political reason where some like Itai Dzamara to this end are still to be accounted for or he is on the run! “In both cases the State is accountable through its various arms such as the security services or the Immigration and Home Affairs departments,” said Moyo. Zimbabwe Human Rights Association national director Okay Machisa said if it is true, then Zimbabweans have to gang up and demand answers from government. “There is no way Chihuri could have gone out of the country without the assistance of others in high office because he has been in the system for long. “And I am pretty sure that he is not in the country. As Zimbabweans we cannot have a situation where an individual could benefit from a natural resource that is supposed to benefit everyone and just vanish,” said Machisa. He added that action has to be taken if Chihuri is not found. “We know he has properties in the country and if it is proved that he benefitted in any corrupt way in Chiadzwa then his properties have to be confiscated by government. Social commentator Rashweat Mukundu is of the opinion that it’s a case of those with power and influence being above the justice system. Legislator Jessie Majome said: “If it is true that the police cannot locate their ex-commissioner then surely they must be awarded a prize for being the most incompetent police service in the world! Political analyst Vivid Gwede said people do not just vanish into thin air; so he must be somewhere and if he is somewhere then somebody must know. “This latest fiasco is part of the growing trend of unaccountability of Zimbabwean high-ranking officials with regards to the current investigations by the parliamentary committee on Mines and Energy. “Whether it’s the refusal by Obert Mpofu to speak or the present hide-and-seek by Chihuri, it all goes on to show noncooperation with the committee which raises even more questions than had been there already,” said Gwede. Former MDC spokesperson and lawyer Obert Gutu said it is very hard to believe that Chihuri can’t be located by the police; if at all he is still in Zimbabwe. “Chihuri was a police boss for many, many years and naturally, he would have quite a number of sympathisers within the police force. Chihuri is very intelligent. He is anything but stupid. He is obviously deliberately avoiding to be served with court processes as well as the parliamentary subpoena. 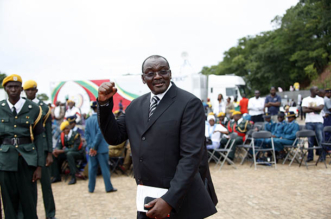 “If push comes to shove, Chihuri can be served …by way of substituted service. He shouldn’t be allowed to duck and dive. “He must present himself before both Parliament and the courts of law. After all, as a former policeman, that is the decent thing that he is expected to do. “Chihuri shouldn’t behave like a fugitive from justice,” said Gutu. 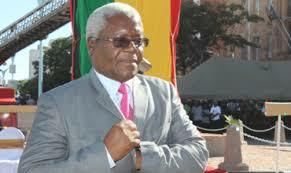 Political analyst Maxwell Saungweme could only say: “Anything is possible. The guy could have gone where (Saviour) Kasukuwere, (Jonathan) Moyo and others have gone or it could just be a case of covering up for each other.” – state media.